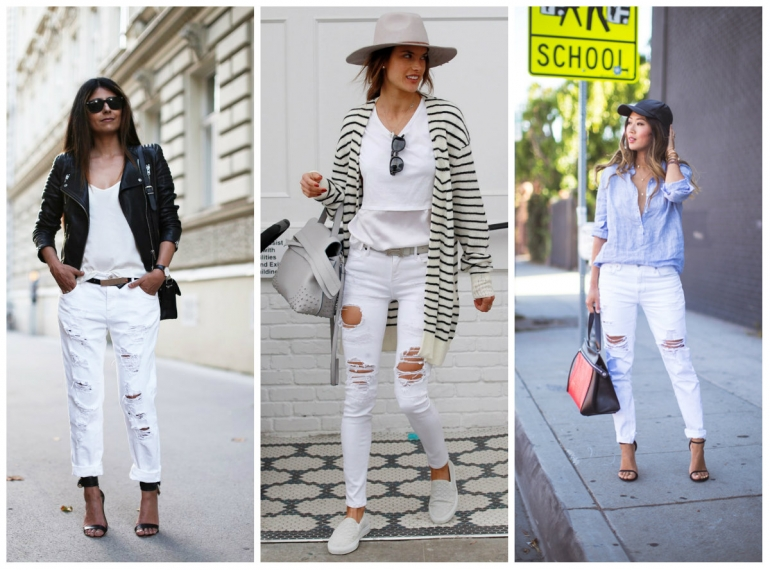 Home Beauty & Fashion White ripped jeans are the new trend!!! White ripped jeans are the new trend!!! First spring days are perfect timing for shopping, and if you haven’t done yet, we have another piece that we would like you to add in your list. We know that the rapped jeans are a huge hit and probably already you have one pair in the closet, but what is the real” must have” this season is just those in white color. Spring is the perfect time to wake inspiration for stylish combinations, so this model can be combined with whatever you want since the base is always white. Wear it on every occasion when you consider it appropriate, and when it comes to shoes; combine them with high sandals Straps, low ballet shoes, white shoes or simple and stylish heels.